Our Iconic Classic Car Museum Closure Auction hit top gear. 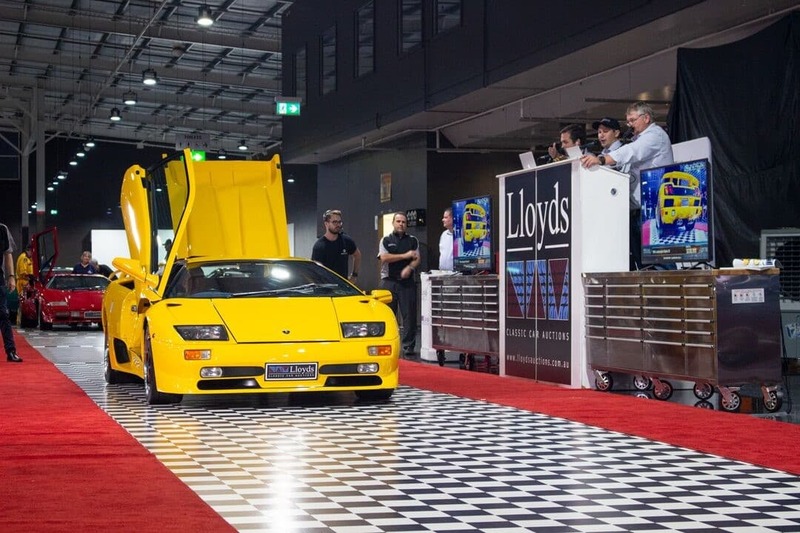 We give you the low down on the past weekend as we wrap up the biggest Classic Car auction in the Southern Hemisphere! People were queuing up outside the Gosford Classic Car Museum on Sunday, three hours before the Iconic Classic Car Museum Closure auction even began. This just proved the massive demand for what has been our largest ever classic car auction! Jeff Thomson, former Australian Cricketer and world’s fastest bowler, said it was incredible the amount of people that showed up to the auction, as well as their dedication to watching the spectacular 9-hour live event! 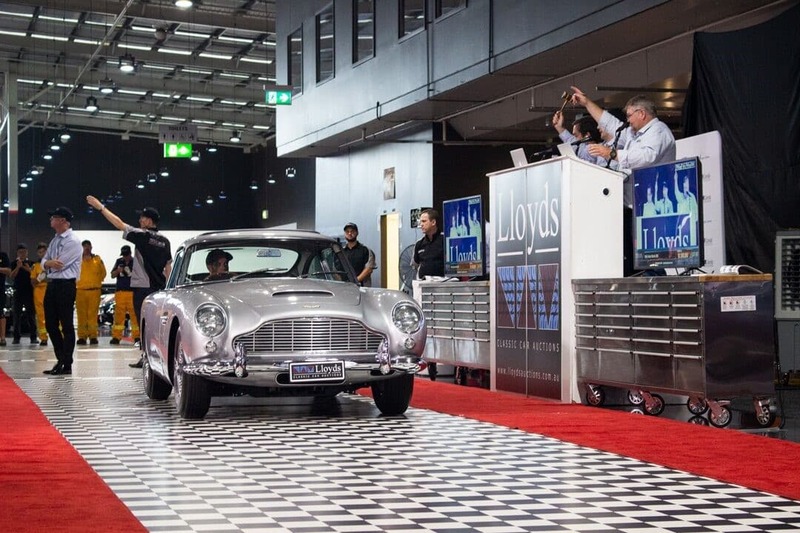 With seven new cars added in the final days leading up to the auction, the total amount of classic vehicles was brought up to a total of 166 lots. This included classic cars and motorcycles, plus a few unique vehicles such as an ’83 American Fire Truck, ‘63 Airstream Caravan and the ‘97 Aussie Invader III LSR Jet (which went for a staggering $455,000 after a very intense bidding battle)! This weekend was the last opportunity to see this magnificent collection of classics together. There won’t be another collection like this, and it is something that will never be forgotten. 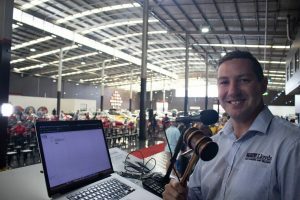 With over 2,000 people showing up multiple record car sale prices were broken in Australia for vehicles throughout the auction catalogue. The highlight of the day was the 1964 Aston Martin DB5, of course, which saw the crowd get to its feet and turn into a sea of phones filming everything that was about to happen. Nobody was disappointed! The stunning James Bond car reached the final price of $1.55 million, breaking the Australian record. Record was the key word for this massive auction as they seemed to be broken left, right and centre! Approximately ten Australian car records were broken for Holden models alone. But Australian market cars weren’t the only ones to smash records with both American and more particularly, European Luxury cars, indicating that the demand for these international cars is extremely strong here too. Another record breaking highlight included the 1930 Packard 740 which sold for $225,000! 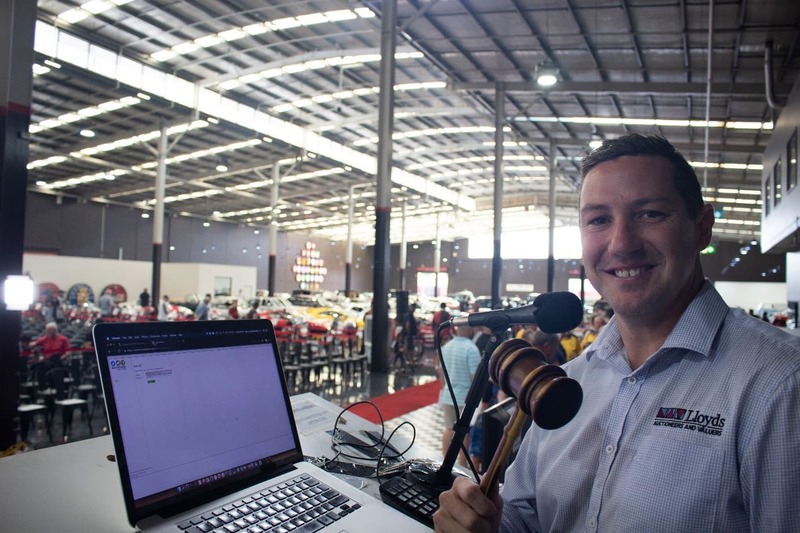 Our auction ambassador and Formula 1 World Champion, Alan Jones, was not surprised at the prices achieved in this world-class auction that certainly attracted some major overseas attention. He feels the cars got what they deserve, in a fantastic event which served as a true send-off in what was an emotional day of mixed feelings for both Lloyds Auctions and the Gosford Classic Car Museum. With the majority of the weekend’s bidders being Australian, it is safe to say that enthusiasts nationwide are extremely proud and passionate people fighting to keep their beloved cars in their country where they can enjoy them. Only two international bidders successfully won cars which proves that Aussie car collectors value their classic cars and heritage. People thought it was fantastic that the majority of bidders were Australian, meaning the cars stay here. The overwhelming interest and attendance didn’t start on Sunday either! Saturday saw a huge amount of people coming to see the collection together for the final time. They also took part in the memorabilia auction that saw hundreds of retro pieces, uniquely associated with the museum, go under the hammer and achieving amazing results! The entire weekend was a huge success pulled off by a great team including the staff at the Gosford Classic Car Museum. They thanked us for the amazing work we have done in getting these incredible results for their beautiful cars and also thanked the community for the support over the past few years. The final surprise of the weekend was the announcement of a special upcoming auction during the online live stream where Alan Jones stated that another Walkinshaw Andretti United Supercar, James Courtney’s chassis of #23 is to be auctioned at the end of this month. 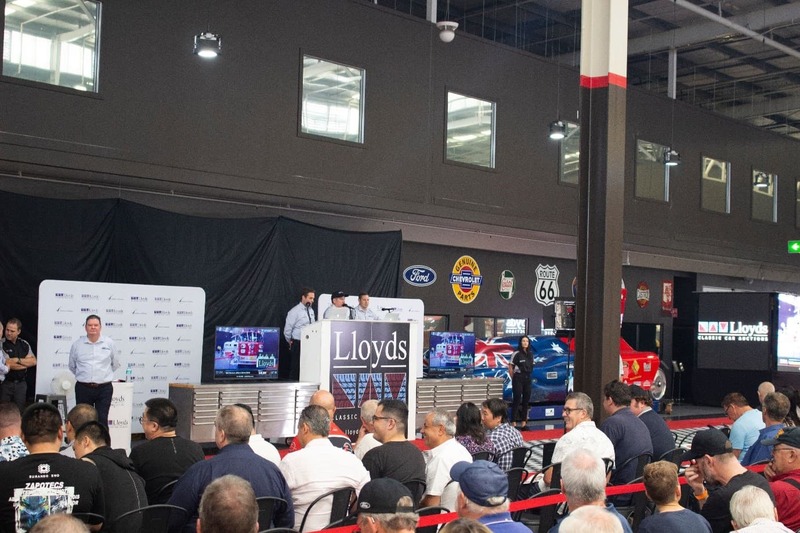 The world-class event described by many enthusiasts that attended the auction, solidifies us here at Lloyds Auctions as a world leader in the European and prestige car market and proves that Australian car fanatics are as passionate as any. It truly was a collection, and a weekend, to remember. If you want to keep up to date with all our unbelievable Classic Car auctions and events, then simply pop your email address below and we will send notifications directly to your inbox!